A record number of people in the UK are in employment, and immigration from the EU is also at a record level. Business surveys suggest employers value international migrants because local candidates lack skills. Whether young people have the skills, attitudes and aptitudes valued by employers, and the impact this has on migration levels and productivity are among the most challenging questions facing policymakers in the UK. Is there a shortage of jobs or a shortage of people to do them? The UK population grew by almost 8% between 2004 and 2014, and most annual population growth has been due to international migration. The latest Labour Market Statistics published by the Office for National Statistics (ONS) show that the UK employment rate (the proportion of people aged 16-64 who are in work) has increased to the highest on record, to 73.5% compared with 72.8% a year ago, demonstrating that demand for labour is more than keeping up with population growth. Unemployment, at a rate of 5.5%, is well below that experienced during the recession and subsequent period of uncertain recovery. There were 740,000 job vacancies, close to the highest on record and likely to be a significant under-count as not all vacancies are notified with Jobcentre Plus. 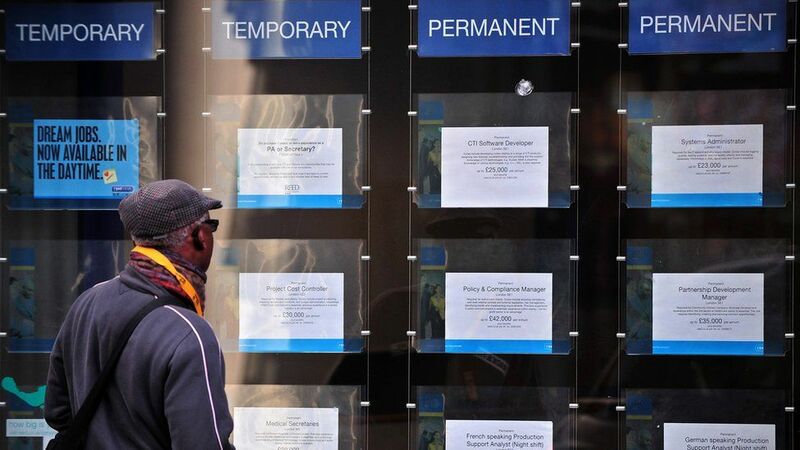 But if there is a record rate of people in employment and employers are posting record numbers of vacancies, why are people still unemployed and why are recruiters reporting such large numbers of candidates for each position advertised? At the same time, the UK continues to lag behind countries such as Germany, the US and France in terms of productivity (the amount of output produced for every unit of labour). Part of the answer comes down to the fact that there may be mismatches between the skills available in the UK labour force and the needs and expectations of employers. The problem facing the UK is not just a shortage of skills, but a mismatch between the skills people have and the requirements of the jobs they currently occupy. This is symptomatic of long-running difficulties businesses have experienced in workforce planning, exacerbated by the rapid pace of technological change and shifting consumer preferences. The Employer Skills Survey (ESS) interviews more than 90,000 employers and reports every two years, with the latest data referring to 2013. In that year, total vacancies had increased by 12% on 2011 and were back to pre-recession levels, but the proportion remaining unfilled because of a lack of candidates with the right skills, experience or qualifications had also increased from 16% to 22%. This is equivalent to 146,000 skills shortage vacancies. The ESS also provides insight into skills mismatches, identifying members of employers’ existing workforces who were not “fully proficient” in their current jobs. In 2013, some 15% of employers reported that they had employees with skill gaps, equivalent to 1.4 million staff or 5% of the workforce. It is important to emphasise that only a minority of employers report skills gaps. Most workplaces report that they have a fully proficient workforce with no skills gaps. It is also important to note that the ESS identifies a large proportion of employers who feel they underutilise their workers’ skills, with 4.3 million people (16% of the workforce) over-skilled or over-qualified for their current roles. The ESS indicates that manufacturing employers were most likely to encounter skills shortages when recruiting (accounting for 30% of hard-to-fill manufacturing vacancies) and that job roles in the skilled trades (plumbers, electricians, technicians et cetera) were particularly likely to be affected. There were also skills shortages in recruiting professionals and associate professionals and for staff in caring occupations. Recent vacancies data from the ONS indicates the health and social work sector currently accounts for a large number of vacancies, a number that has grown by almost 20% over the past year. What is the impact of skills shortages and mismatches? According to the ESS, employers invested £42.9bn in training in 2013. Wider costs are harder to quantify. For employers, skills issues can reduce their ability to respond to customer needs and stay ahead of competitors, to adopt new technologies or to fully utilise existing equipment or ways of doing things. Skills have long been identified as one of the key reasons for the UK’s “productivity gap” with other major Western economies. Unfilled vacancies are likely to lead to increased workload and stress for other employees. Where individuals are poorly matched to the skill requirements of their job, this can have significant impacts on job security, self-confidence and career progression. Evidence from a range of sources suggests that this may be a vicious cycle, with more highly skilled workers more likely to receive training and those affected by skills gaps at risk of being passed over for personal development opportunities. Is education in the UK to blame? Education is frequently blamed for failing to equip young people with the relevant work skills. However, it is not this clear cut. When asked specifically about the young people they themselves have recruited, employers tend to be highly positive. Of employers in the ESS who had recruited a young person directly from school, college or university, the vast majority found them to be well prepared for work. Of those who had recruited a graduate directly from university, 84% stated that they found the individual well or very well prepared for their job. The key issue is the long-term nature of the challenge. An individual starts to make choices in education that will affect the skills needed in their career as much as a decade before they will enter the workplace, by which time technology and consumer preferences will have changed radically. Education policy, workforce planning and careers guidance are all affected by the time lag between implementing policy and those changes impacting on the workforce. In a system where learner choice plays an increasingly important role, it is ever more important for young people to access good information, advice and guidance on the likely skills needed by employers in the future. Chris Lawton is a senior research fellow in the division of economics at Nottingham Business School, Nottingham Trent University. He also writes for The Conversation.